It’s a dreary day here in Severna Park. There is a tropical storm out in the Atlantic that is kicking up a fuss for the eastern seaboard of the US. Its cloudy, muggy, but not too warm. Mrs. TKD is under the weather and I’m taking care of Mr. Grey today. This week has been a long and hard one. My work week started on Sunday with a 12 hour day. The rest of the week, I’ve been the on-call engineer. That means that I get the after hours calls for the network as well as I have to take care of any trouble during the day. Its been a tough week from that perspective. I had to go to court as a witness against the drunk driver who sideswiped my car earlier this summer. I was pretty irritated when he showed up and requested a postponement so he could get a lawyer. I mean, really, he was arrested in May, read his rights and taken away that night. Then the subpoena was dated 7/1, so really in 3 months it didn’t occur to him to get a lawyer? He’s playing the system. I guess the thing that bugs me about that was that he knew it, the judge knew it, the whole courtroom knew it…and it is a-okay. 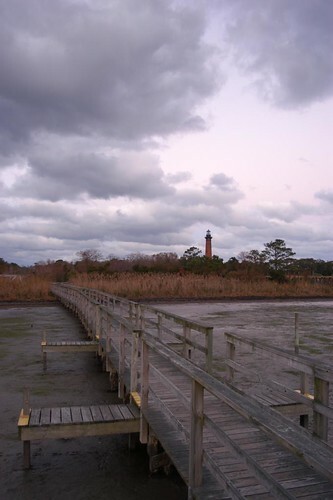 At any rate, I stumbled upon this photo from Currituck, NC in my flickr photostream and it just seemed like the right photo to go up on steady.org today. Pingback: You must read this book « . : s t e a d y . org : .